Today is my NINTH Anniversary with my husband, the love of my life!! We're not really doing much for it this year. But, I just had to mention it. . .Oh, and if you're curious about how we met, I wrote about it for our anniversary last year. 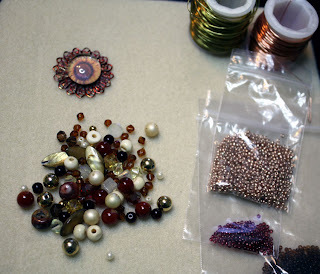 It's Bead Table Wednesday, and I knew my first task today was going to be clearing OFF the bead table. There was hardly and space for me to work!! Once that was done, I quickly set about filling it back up. Well, not really. I just pulled out the supplies I had gathered and started on yesterday for a few necklaces. 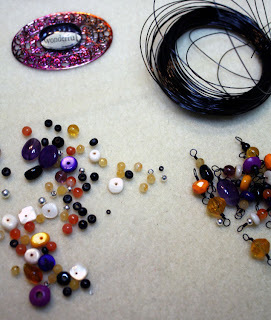 Join in the Bead Table Wednesday Flickr Group for more craft desk fun! I really do need to run and gather few little somethings for that man-o-mine on OUR day, so I'll see y'all later. It has been 9 years already??? Man I am getting old!!! :-) I hope you guys have a FANTASTIC DAY!!! My desk usually looks similar. 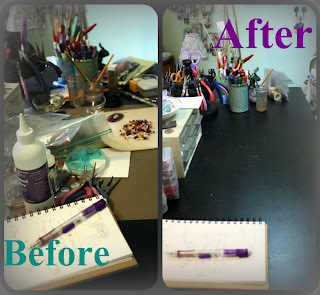 My work area gets smaller and smaller till I finally clean it up a bit. 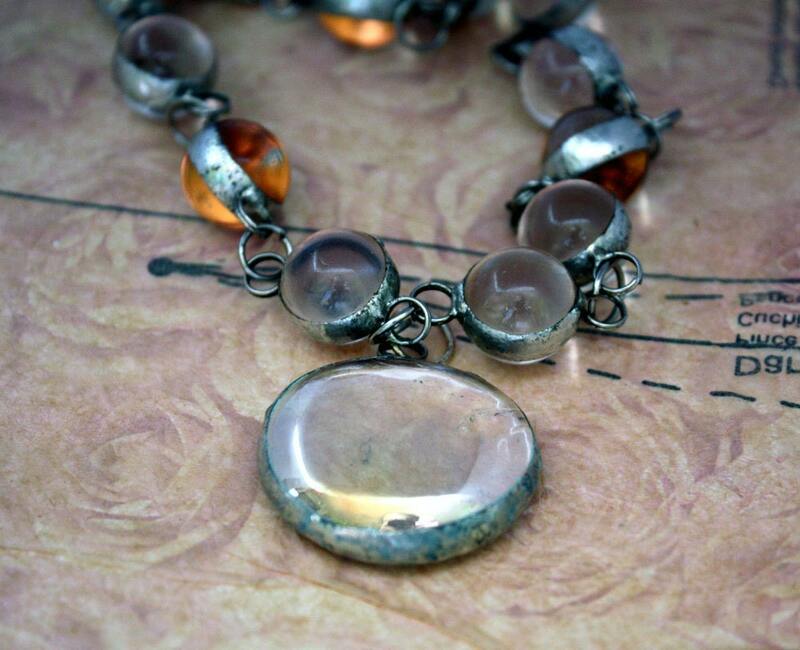 Great necklaces! Wanna come over and clear off my table too??? Happy Anniversary Hope, and here is to many, many more! I like both of the necklaces. 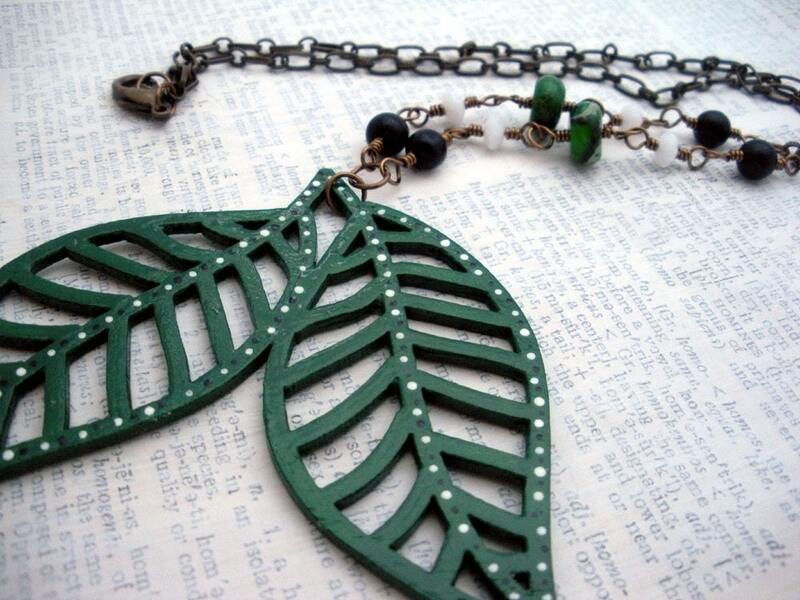 Are the green leaves wooden? G! - It HAS been 9 years. I can hardly believe it myself. I keep doing the math and it comes up Nine everytime. . .You're not old at all! You had an okay day. We planning on dinner tonight. Thanks! Linda- Thank you!! Ha, it took just about everything I had to get the gumption to clean mine. 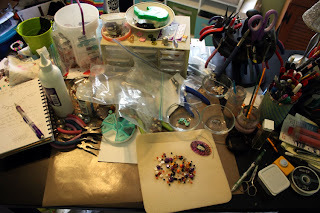 And the only reason I caved in to doing it was because I only had one little, tiny square of workspace. It was driving my CRAZY! !